On Saturday, Aug. 6, six softball teams consisting of public service men and women – including police officers, firemen, ambulance service personnel, law enforcement dispatchers and former/present military – gathered at Hendelmeyer Park in Effingham to play tournament softball. They played not only for bragging rights, trophy and medals, but more importantly, to raise funds and awareness for the athletes of Special Olympics Illinois. This was the first Public Service Softball Challenge and the fundraiser was a huge hit for the players, Special Olympics athletes who attended the event and crowds that gathered to watch the games. 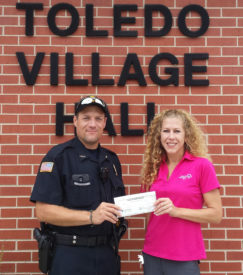 Christopher Thies, Chief of the Toledo Police Department and organizer of this fundraising event, recruited teams, solicited in-kind donations of food and hospitality items for the day, and ensured the players had entertainment and souvenir options available in between games. 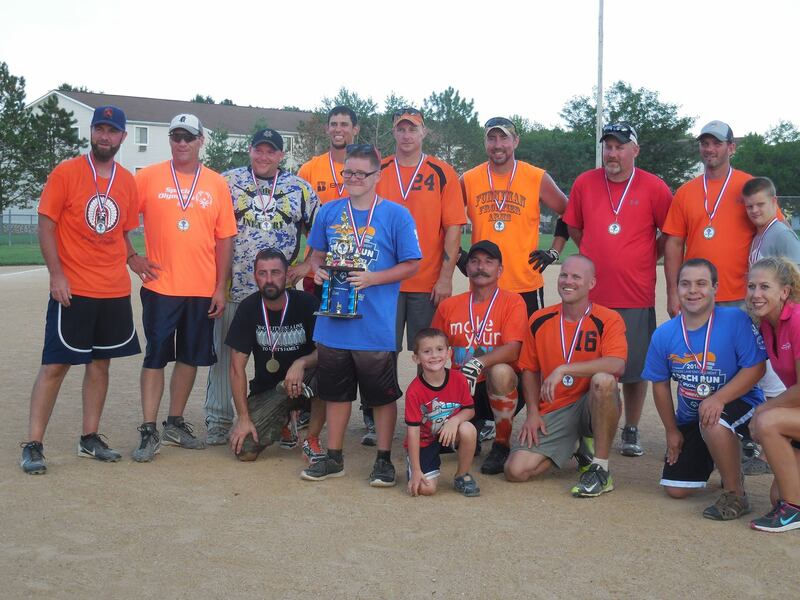 The Public Service Softball Challenge raised $1,800 for Special Olympics Illinois. The money will be used to provide free sports competitions and trainings, health and wellness programs, and socialization opportunities throughout the year for the athletes participating in Special Olympics Illinois East Central/Area 9 programs.